Rear disc upgrades are a great way of improving looks and performance on the rear of your vehicle when regulations from government bodies require the use of a mechanical caliper. These kits in most occasions use a two piece disc with a spacer bracket to relocate the original caliper in order to accommodate the larger disc. 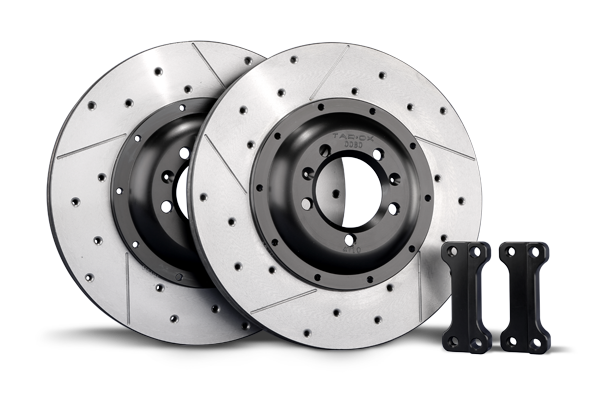 As with all TAROX kits the Rear Disc Upgrade integrates with all modern day driving assistants such as ECS, ABS and dynamic driving aids.